Wedding videography gives you an opportunity to feel the dream-like experience of your wedding day again. However, it is always over before it is completely realized-for which you were actually planning since months. Wedding videographers creatively capture all the flashes of your wedding so that you may not miss a single moment of your special day. 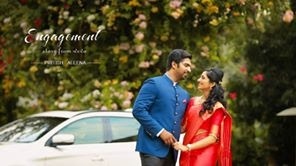 Wedding.net has gathered various wedding videographers in Bangalore. You get the list of videographers along with their sample videos. You can choose a wedding videographer and look through his portfolio by yourself. You can opt for pre-wedding videos and documentaries as well for your wedding. Wedding videography service allows you to choose the best videographer among the various options available. Fabulous videography, stunning sound designing, smart editing and a professional direction will make your precious moments memorable.